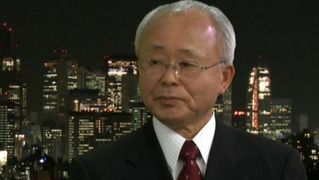 As Fukushima Raises Severity Level, Nuclear Expert Warns Radioactive Leaks Will Only “Get Worse” | Democracy Now! a former nuclear industry executive who has coordinated projects at 70 nuclear power plants around the country and now provides independent testimony on nuclear and radiation issues. He is the chief engineer at Fairewinds Associates. NERMEEN SHAIKH: Well, I wanted to ask about the latest news from Japan. Japan’s nuclear regulator said today it has officially raised the severity rating of the latest radioactive water leak at the crippled Fukushima nuclear plant to Level 3 on an international scale for radiological releases. The plant’s operator, Tokyo Electric Power Company, said last week that 330 tons of highly radioactive water leaked from a storage tank at the facility. Arnie Gundersen, can you talk about the significance of that? ARNIE GUNDERSEN: I think that’s just one of—one of three problems that’s facing the Fukushima site. What this particular incident was, was one tank that had a thousand tons of radioactive liquid water in it when last they looked, and the next time they looked there was only 700 tons, and so 300 tons went missing. The surveys of the area determined that the radiation coming from the ground was five times more in an hour than a normal person would get in a year. So we’re talking about thousands of times more radioactive than the yearly exposure had leaked out of that tank. And that was the bases for the decision to call this a Level 3 accident—one leaky tank out of a tank farm of 700. But there’s been more tanks leaking on that site than this particular one. This happens to be the single biggest and the highest radioactivity. But, really, there’s 700 tanks. There were some underground that were leaking. We have contaminated the underground water table with radioactive material from the tank farm, not just from this one tank, but from all the tanks that are on that site. And the problem is going to get worse. They’re building about a tank every other day. Fukushima Daiichi is generating something on the order of 400 tons of radioactive water every day. A tank only holds about a thousand tons, so, essentially, two or three tanks a week have to be built to stay on top of this inflow of water. The other problem, the biggest problem, is that it’s continuing, that the radioactive water is leaking out of this plant as fast as it’s leaking in. So, you’ve got something on the order of 400 tons to maybe even as much as a thousand tons of water a day leaking off of the mountains around Fukushima into the basement of this plant. Well, the basement is highly radioactive, because the containment has failed and radioactive material is leaking out from the nuclear core into the other buildings. That’s being exposed to this clean groundwater and making it extraordinarily radioactive. AMY GOODMAN: We want to thank you very much for being with us, a former nuclear industry executive who has coordinated projects on numerous nuclear plants around the country, now an executive at Fairewinds Associates, and we thank you so much for being with us. This is Democracy Now! Back in a minute.